The first novel I read by Jessie B Tyson was White Heaven Women see my review here. 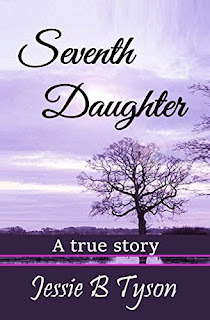 I really liked it and so when asked to read and review Seventh Daughter--I jumped at the chance! Now-whether you believe in ghosts I most certainly do having had the occasion to not see them but was well aware they were there in a small town in Wisconsin up near the Canadian Border. Actually there were two or three of them--one not the least bit friendly! Then there is my cat Gremlin--he is still watching over me--I occasionally feel him hopping up on my bed at night (Baby is already sleeping on my bed so it is not her). It could be one of my dogs--but I really think it is Gremlin. While I definitely don't have second sight--I do have many premonitions that do come true! I frighten my Mom on occasion. This very short but interesting tale of a conversation the author had with her Aunt will take you no time at all to read--but I bet you read it in one sitting like I did and whether you are a believer or not--you will definitely enjoy the tale! As an aside--I have always wanted to know how to make Shepard's Pie--the recipe is at the end of the book! A short 25 page true story to read waiting for a bus or if you need to, while sitting on the toilet, ha. My bad. INCLUDES RECIPE from my evening meal with a British Seventh Daughter. "The fire sparked loudly, and spit a burning ember onto the rug. It scared my Heinz57 dog (British for not a purebred) and she ran into the next room. Was it a premonition? Just then someone appeared behind the couch. There was just Auntie and me there. Who was it and why did it visit us? You might not believe in spirits but this is a true account....believe it, or not. I saw what I saw and so did my dog. The Seventh Daughter saw nothing. I tell you, friendly ghosts are real." Download your 25 page conversation with the British "Seventh Daughter of the Seventh Daughter." Jessie B Tyson was born at Scalegill Place near Moor Row, a tiny village between the coast and the mountains in N.W. Cumbria England. In what year? She's a senior and will not divulge that, ladies prerogative but she will be collecting a pension in a few years (grin.) She was educated in her natal area and moved to Canada in the year 2000. Jessie wrote children's and fantasy stories as a teenager. 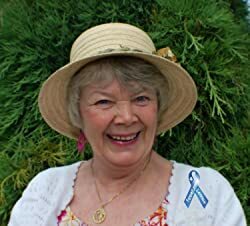 When she matured she moved on to writing adult stories. She has a great imagination and enjoys turning her vision-like dreams into enjoyable tales. Jessie considers herself as a Spiritual Christian, who believes in the Power of God but that doesn't stop her writing paranormal fiction with ghosts and demons! :D Jessie has a wonderful sense of humour, and loves to laugh and tease her friends. She has a generous spirit and will help anyone in need. She has an affinity with animals, especially dogs, cats, horses and dolphins. Jessie abhors all forms of cruelty to any living breathing creature. I received the Mobi edition of this book for review purposes. All opinions expressed are my own honest opinions. For more information please check my Disclosure Statement. Our giveaways are in no way sponsored or promoted by Facebook. This will be a great read for those who believe in ghosts and premonitions! Also for those that like to read about them because they are not sure if they do or not. Miki, thank you so much for adding my short story to your blog. You are so very kind! I’m totally thrilled you enjoyed reading it and added a review to Amazon. I was as surprised as my aunt when Grandfather came to visit, although it really wasn’t the first time. The surprise was I'd only ever seen him when I was alone until the night with Auntie Elsie. You know, one doesn’t have to be psychic to see Spirit, just be relaxed with an open mind (with the addition of a glass of Cherry wine) haha. I sure miss my aunt Elsie, RIP. Thanks to too Gladys Parker. 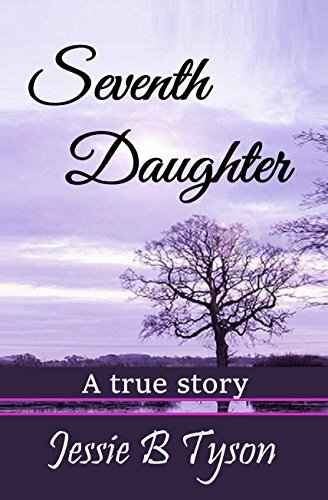 You are right that "SEVENTH DAUGHTER" is a good story for those who are not sure if they believe in Spirit, and that not all Spirits are bad either. There is nothing to be scared of but fear itself. IMO, if people didn't hurt you while they were alive why would they hurt you when deceased? Bless you both for reading. Right now I'm working on my second true story, "EAGLE DREAM" - a prophetic dream I experienced many years ago and the result of those sleepy visions in my real life. I hope you get to read the 2nd edition of "WHITE HEAVEN WOMEN." It’s not a 100% true story like the others mentioned above but was inspired by one. It has 276 pages.